50 Years Ago Yesterday . . .
Major League Baseball holds its first Free Agent Amateur Draft (now known as the First Year Player Draft). 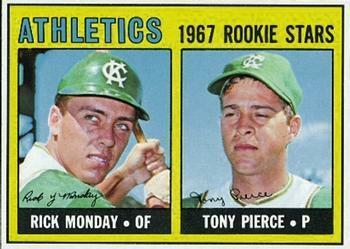 The very first overall #1 pick was Rick Monday from Arizona State University by the Kansas City Athletics. We all know what happened with Rick. 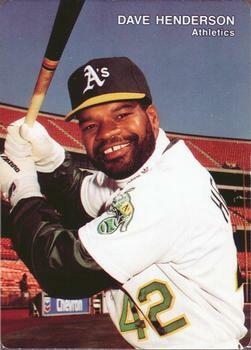 He became an All Star, (on 2 occasions) and a fan favorite with the Cubs and the Dodgers. With the latter team he achieved baseball immortality by grabbing the American flag from two rabble-rousers trying to burn it in right field at Dodger Stadium. (I think our fore-fathers would have found the act amusing considering the modern day economic and civil rights breakdown of this once great country) and he is now an even-keeled announcer for the Dodgers when Ol’ Vinny needs a break between the 4th and 6th. 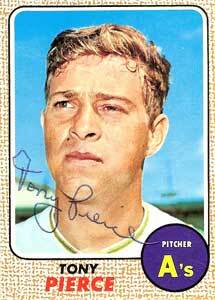 But, what ever happened to Tony Pierce? Well, Tony used a baseball bat to fend off his daughter-in-law as she repeatedly stabbed him with a pair of scissors in his Columbus, Ohio home on Oct. 27th, 2010. Tony claimed she once called him “God” for two days and on one occasion crawled into bed with him. I dare you to find a baseball card where Tony doesn’t look completely DESTROYED mentally; all of his cards seem as if he sees his destiny, and wants this mortal coil to end. Laura Pierce, 32, admitted stabbing her father-in-law in a detailed bizarre confrontation, saying she arrived at his home unannounced, left her purse by the door and put his 130-pound Rottweiler in the bathroom before assaulting him as he sat on his couch. She stabbed him several times in the chest as they struggled. Eventually he was able to grab the scissors in one hand and her head in another. Scanning the room for some way to ward her off, he saw a baseball bat. He’d decided by then that either he or his daughter-in-law had to die, he said. As he reached for the bat, she stabbed him in the back. He hit her with half a swing of the bat. She went out to his front yard, screaming that she was bipolar and schizophrenic. She was still there when police arrived. Mr. Pierce died in 2013 at the age of 67.